With profound sadness, I relay that one of our members, Taylan Cihan, passed away–October 8th 2014. Taylan was a founding member of CAGE, whose own personal musical developments mirrored and underpinned those of the group. Without him, CAGE would not be what it is. Taylan was a student of mine–I had the privilege of being a mentor to him. 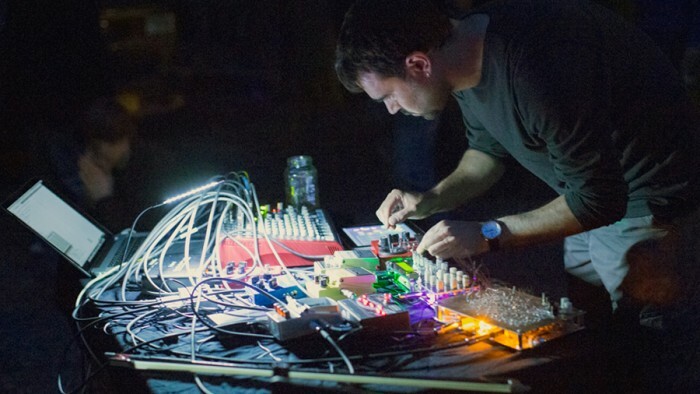 He was a singular artist and person, utterly dedicated to his own work and ideas, someone who put thousands of hours into making sounds and developing unique, DIY electronic instruments for live performance. Over the past several years, he had diligently acquired a real depth of expertise with these tools and loved sharing his knowledge skillfully and openly with others, both in public lectures and workshops as well as online and in the broader community of open source software and open hardware. He was self-driven and forged his own path, providing an example of artistic courage admired by his students, colleagues, collaborators, friends, and teachers. Taylan was a composer and improvisor–he preferred simply “musician”, a graduate student in Music, and a founding member of the Cornell Avant-Garde Ensemble (CAGE) where his sometimes edgy, even jarring, but also poignant, and deceptively under-spoken musical sensibilities helped give life to a rich, mutually serendipitous musical language that none of us who shared in it with him, Taylan included, could have expected or set out to create.